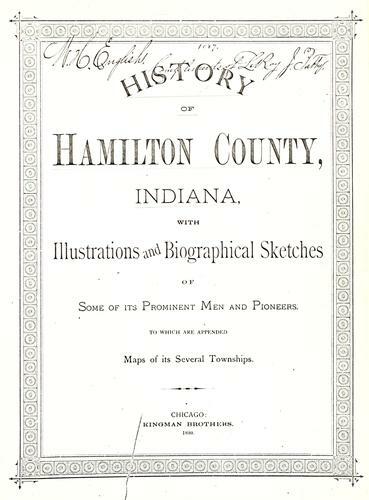 1 edition of History of Hamilton County, Indiana found in the catalog. Add another edition? Are you sure you want to remove History of Hamilton County, Indiana from your list? with illustrations and biographical sketches of some of its prominent men and pioneers : to which are appended maps of its several townships. Published 1880 by Kingman Brothers in Chicago .